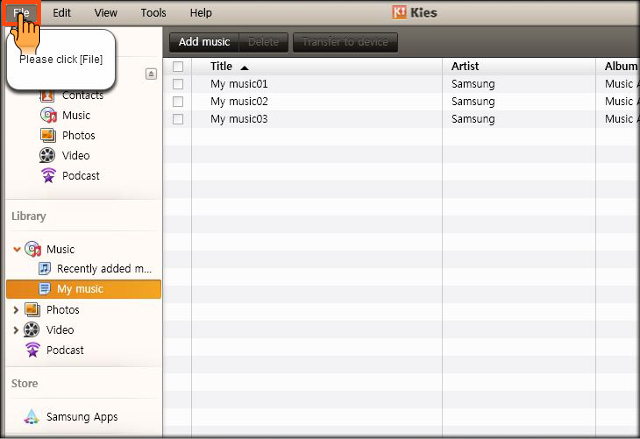 How to create Music playlist in Samsung Smartphone using Kies application? 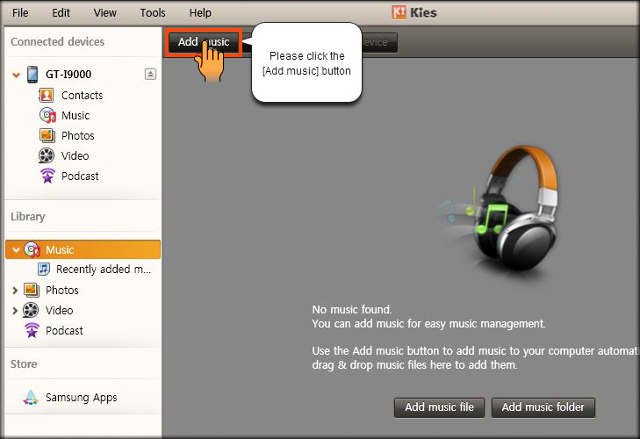 Add music stored on your PC to the Kies Library and you can create your own playlist and listen to it. CLICK HERE to know about the System requirements to run Kies. a). Run Kies on your PC then connect your device and PC using USB data transfer cable. b). 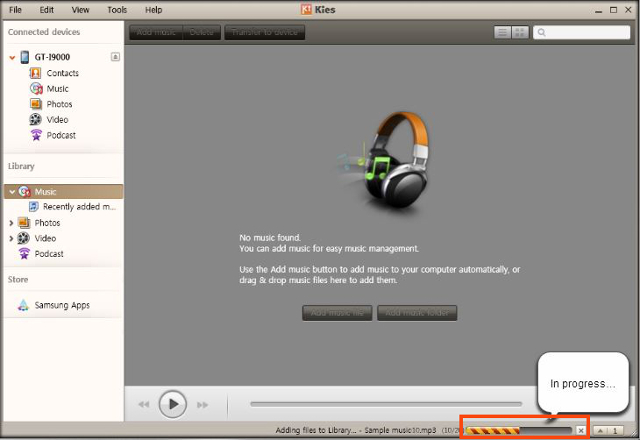 Now click on Music option under Library. c). Click on Add music to add music tracks. d). 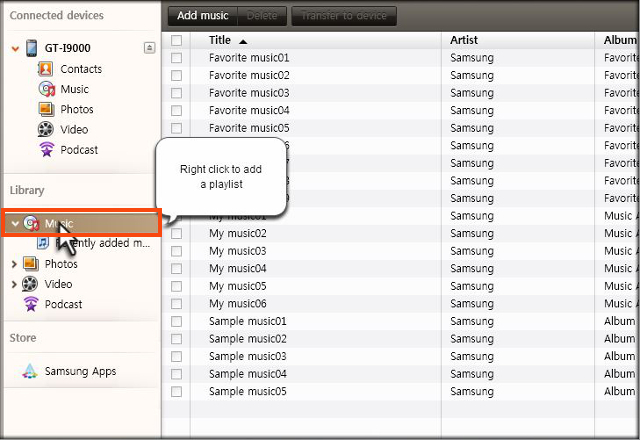 Now select the Music files to add, then click on the Open button. e). Music files adding process will start. f). 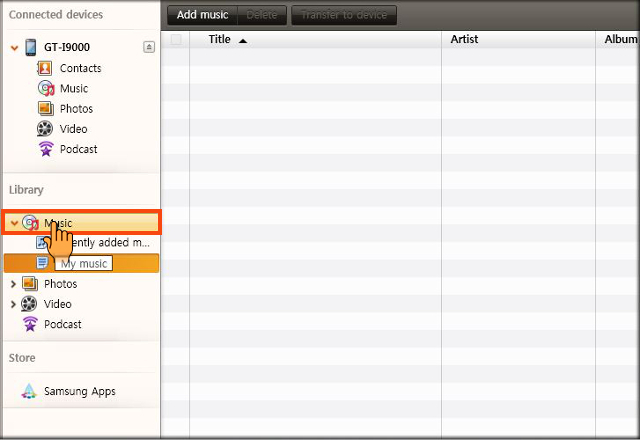 Once the Music files are added right click on the Music option available under Library. g). Now click on New music playlist as shown below. h). 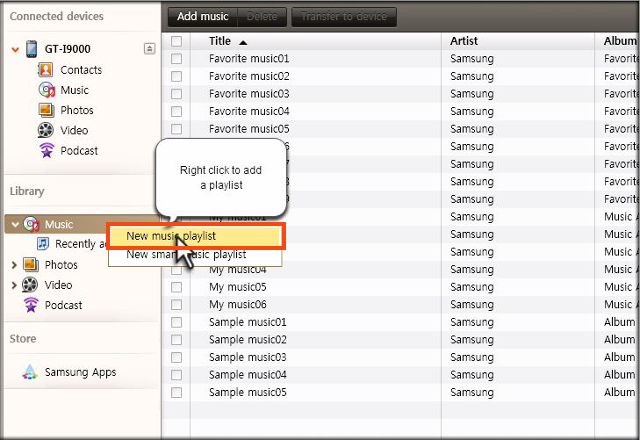 Now the New playlist is added, click on Music option to start adding music tracks. i). 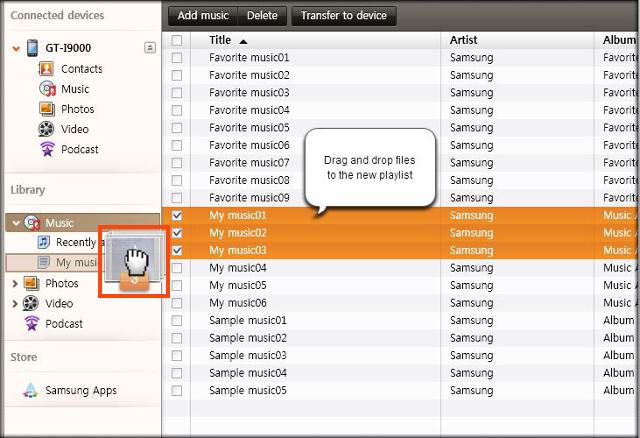 Select the tracks from the list then drag and drop files to the new playlist as shown below. j). 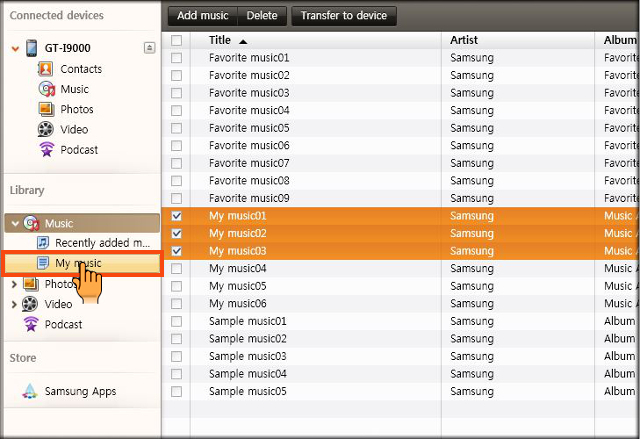 Now click on My music to check the transfered files. k). Now click on File tab as shown below. l). 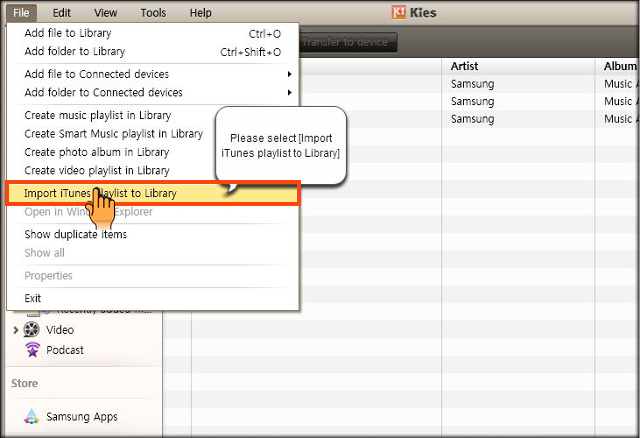 Now click on Import iTunes Playlist to Library option from the list. m). Import in now in progress. n). 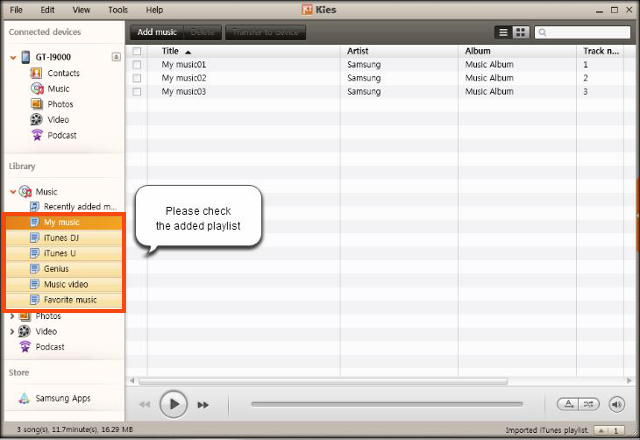 When import completed, check the Added playlist as shown below. 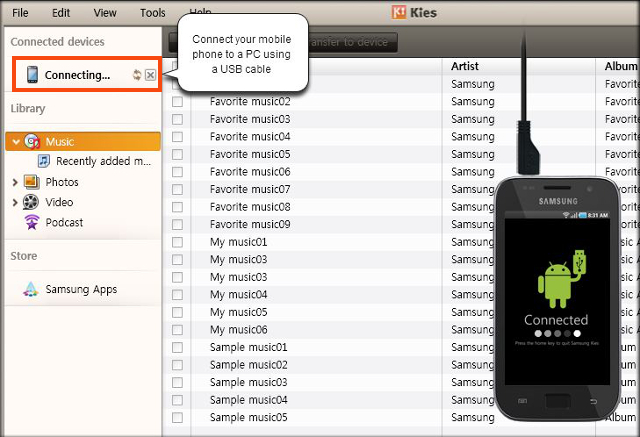 How to download and install Kies 3.0 for Android 4.3 & above based Samsung Smartphones? 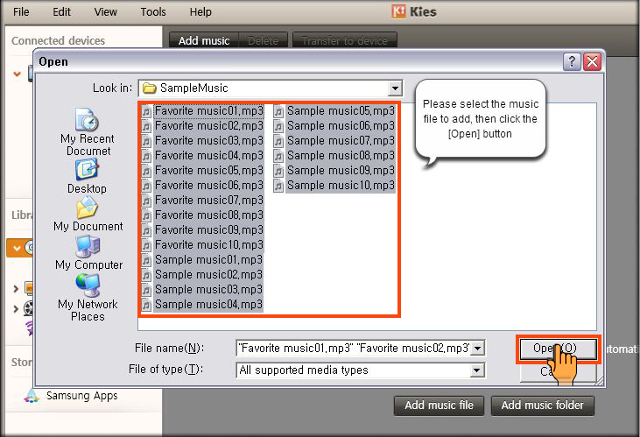 How to backup and restore mobile phone data using Kies application? Will my data be lost when doing firmware upgrade using FOTA or through KIES?